Field of Dreams Movie Site: Field filmed in the movie "Field of Dreams" starring Kevin Costner, located in Dyersville, Iowa. Amana Colonies: National landmark that consists of seven villages formed by German Pietists, who maintained an almost completely self-sufficient local economy for 80 years, located in Amana, Iowa. Blank Park Zoo: Zoo in Des Moines, Iowa. Prairie Meadows: Casino in Altoona, Iowa. Adventureland: Amusement park in Des Moines, Iowa. Iowa Speedway: Car racing track in Newton, Iowa. Living History Farms: Open-air museum in Urbandale, Iowa. Des Moines Art Center: Art museum in Des Moines, Iowa. Ledges State Park: State park in Madrid, Iowa. Maquoketa Caves State Park: State park in Maquoketa, Iowa. Putnam Museum: History and natural science museum in Davenport, Iowa. Reiman Gardens: Garden in Ames, Iowa. Pikes Peak State Park: State park in McGregor, Iowa. American Gothic House: Museum and art center in Eldon, Iowa. Figge Art Museum: Art museum in Davenport, Iowa. High Trestle Trail: 25-mile recreational trail from Ankeny, Iowa, to Woodward, Iowa. Hoyt Sherman Place: Performing arts theater in Des Moines, Iowa. Grotto of the Redemption: Religious shrine in West Bend, Iowa. 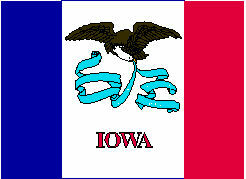 Iowa derives its name from the Ioway people, one of the Native American tribes that made the region their home. 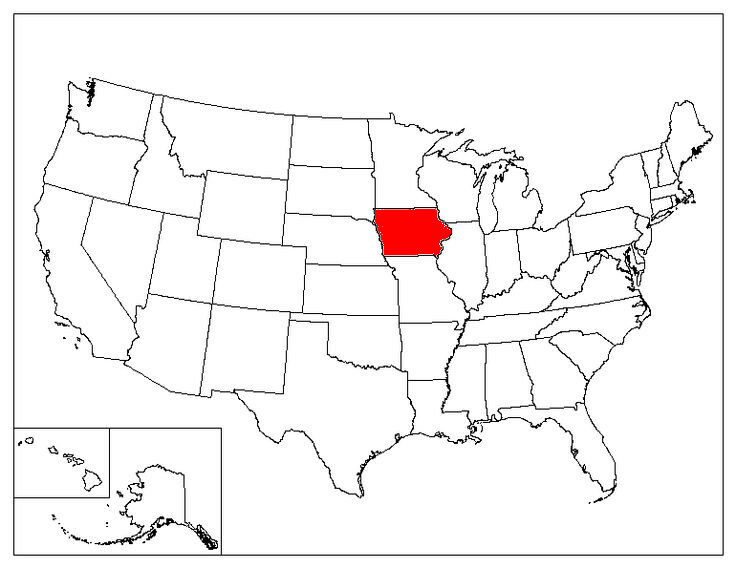 Iowa is the only state in the Unites States whose eastern and western borders are formed entirely by rivers. 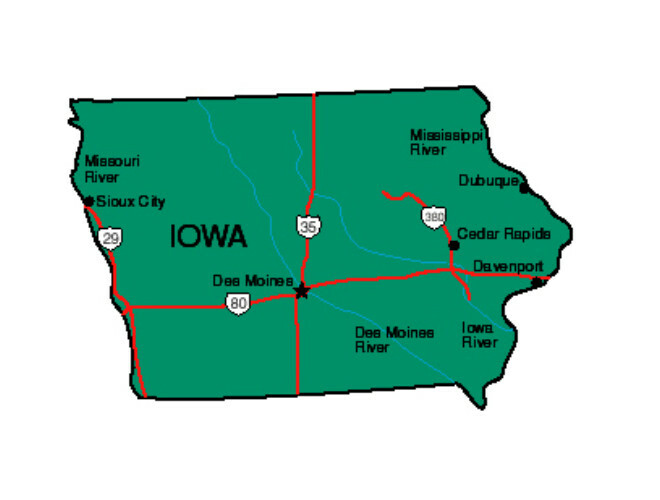 Iowa is the only state in the United States that has two vowels as the first two letters of its name and has two vowels as its state abbreviation (IA). Iowa is called "The Hawkeye State" to honor Indian Chief Black Hawk. Iowan Arabella Mansfield the first female lawyer in the United States. She was admitted to the Iowa bar in 1869. Iowa is the largest producer of ethanol among all the states in the United States. Not surprisingly, Iowa is also the largest producer of corn among all U.S. states. The novel and movie �The Bridges of Madison County� was set in Madison County, Iowa. Iowa State University is the oldest land grant college in the United States. In Iowa, ministers must obtain a permit to carry their liquor across state lines.